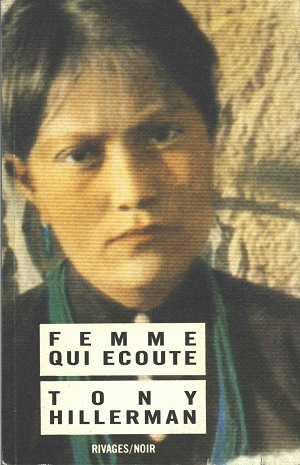 This is the first French edition of Listening Woman. Translated by Danièle and Pierre Bondil, who completed all the translations of Hillerman's work for the Rivages, Rivages/Noir, and Rivages/Thriller editions. This Rivages/Noir edition follows the typical format for the publishing house's Hillerman releases: a small paperback with a tinted vintage photograph cover, a translators' guide to pronunciation of Navajo words, a map of the region covered in the novel, and an extensive glossary of historical and cultural references pertinent to the plot. Binding: Pasteboard with tinted color photograph.